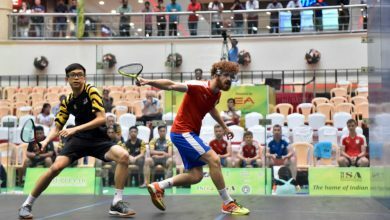 Gregory Gaultier notched up the 22nd PSA World Tour squash title of his career at the inaugural Abierto Mexicano de Raquetas with a quickfire victory victory over world No11 Omar Mosaad in Mexico. 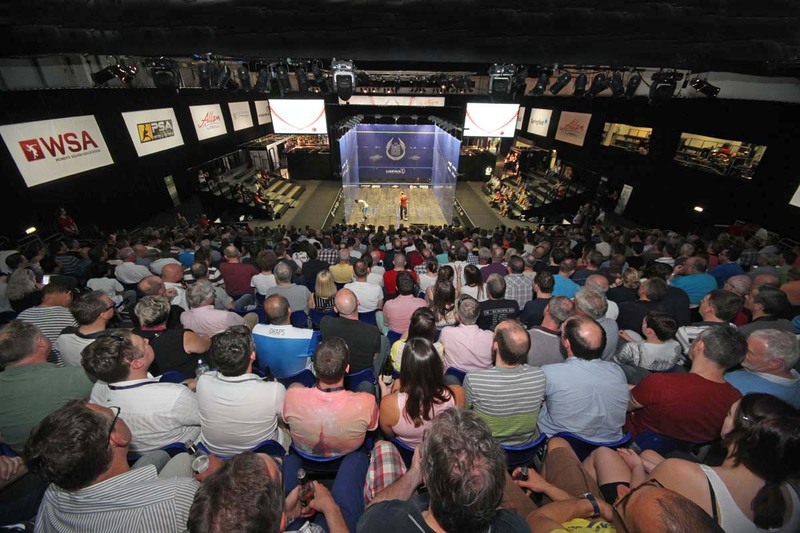 The PSA International 70 championship is the biggest Tour event ever to be held in Mexico – and was staged in spectacular style on an all-glass court sited in the Plaza de los Martires in Toluca, overlooked by the city’s historic cathedral. World No3 Gaultier reached the final – his third in a row on the Tour – in stunning form. After arriving in Mexico fresh from victory in the NetSuite Open in San Francisco – also a PSA International 70 event – the 29-year-old from Aix-en-Provence conceded just two games en-route to the Toluca climax. 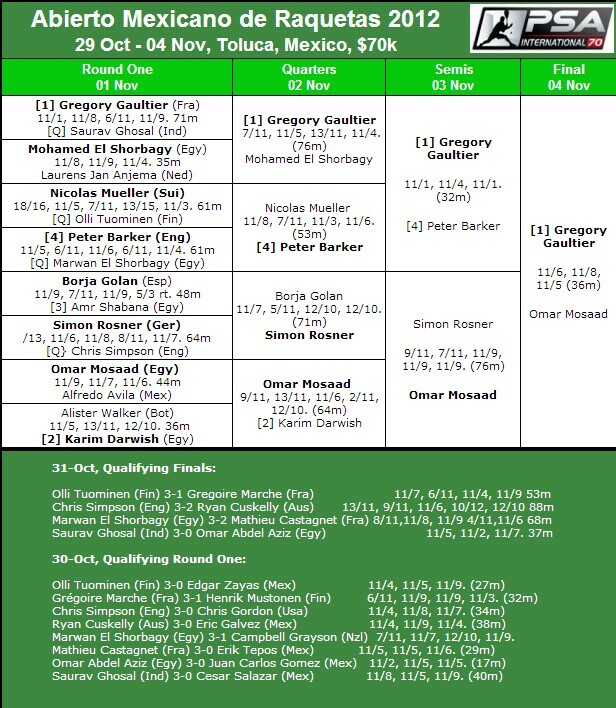 By contrast, Egyptian Mosaad was taken to five games in his two previous matches – first beating No2 seed Karim Darwishin a 64-minute quarter-final upset, then overcoming German number one Simon Rosner in a 75-minute semi. The experienced Gaultier clearly took full advantage – crushing the tall 24-year-old from Cairo 11-6, 11-8, 11-5 to extend his unbeaten run over Mosaad to four wins in 30 months.